Starting in 2013, Los Angeles-based conceptual artist Glenn Kaino has had the opportunity to meet and collaborate with a man whose act of protest had long inspired him. “Bridge” is Kaino’s 100-foot long construction featuring two hundred casts of former American track and field runner and Olympic gold medalist Tommie Smith’s arm, which he raised as a human rights salute during the National Anthem after taking gold at the 1968 Summer Olympics. Kaino’s work will be installed as a part of a larger exhibition at the High Museum in Atlanta in fall 2018. 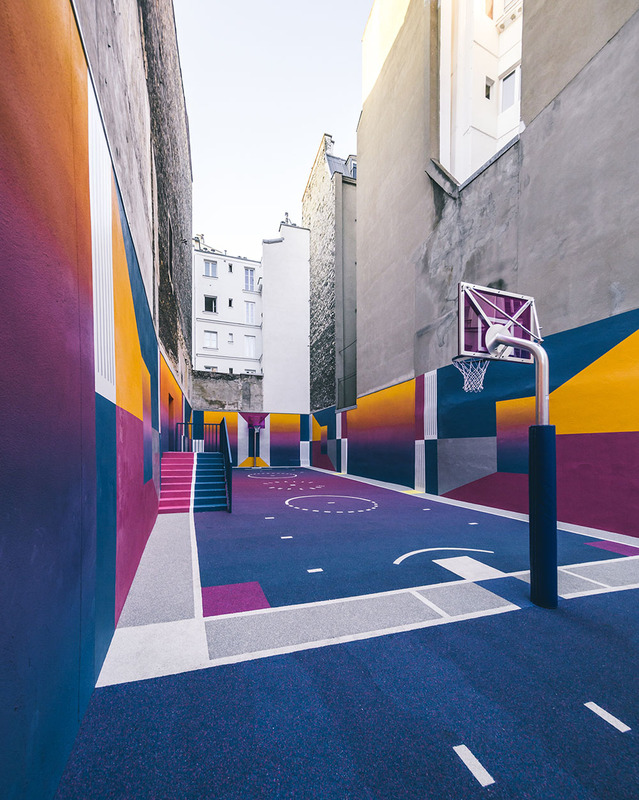 We spoke with the artist to learn more about how his collaboration with Smith came to be. On the podium of the 1968 Summer Olympics in Mexico, African American medalists Tommie Smith and John Carlos went from being top-performing athletes representing the United States to legendary activists with a simple yet powerful gesture. The photograph of Smith and Carlos with their heads lowered and their leather-clad fists raised is one of the most iconic images of the 20th century, and Kaino tells Colossal that it is one that he used to have taped to the side of his iMac. A friend of Kaino’s noticed the picture and referred to Tommie as “Coach Smith,” revealing that he knew the former athlete from his days as track coach. The friend set up the meeting, and Kaino soon found himself at Coach Smith’s home in Atlanta, watching tape of the race in slow motion as Tommie broke it down almost frame by frame. “I didn’t have a pitch,” Kaino said of the way he finally approached the topic of collaboration with the gold medalist and his wife, “but I did have an observation.” He noticed that Tommie Smith’s home was like a “time bubble,” with memorabilia and references to his career and to his most famous moment. Kaino says that as someone who was born after the salute, the image has always been symbolic, but for the Smiths it was personal. “You shook my hand with that arm, you brush your teeth with that arm,” he said to Tommie. Smith and Kaino hosted drawing workshops in educational spaces around the country where students learned the history of the event and drew frames from the momentous race. Photographer Pelle Cass documents the flurry of activity and movement that occurs at sporting events in a unique series of masterfully edited images titled ‘Crowded Fields.’ The Boston-area artist attends local college games, and takes upward of one thousand photographs over the course of an hour or two. Cass then spends dozens of hours editing the photos to arrive at the final composition. 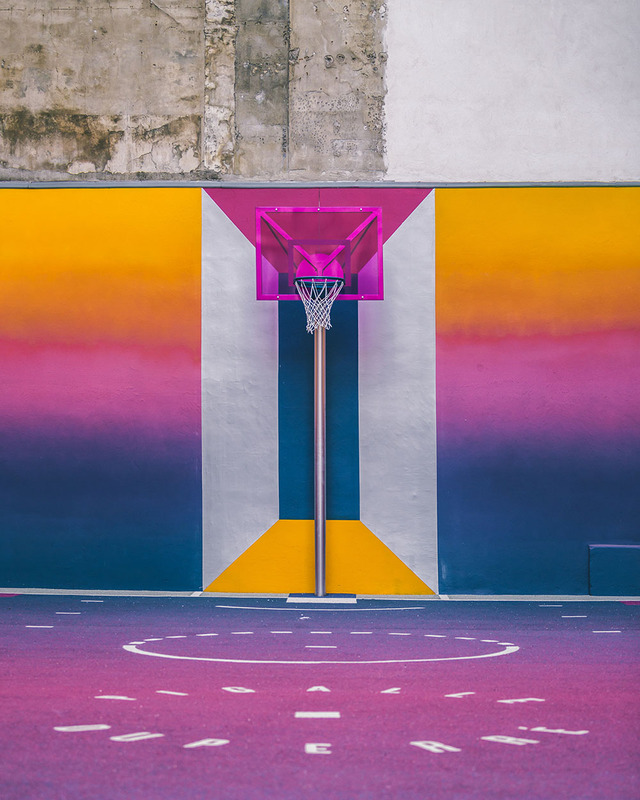 Project Backboard began in 2014 when Daniel Peterson, a former college basketball player and employee of the Memphis Grizzlies, noticed the neglected state of several basketball courts scattered around the city. 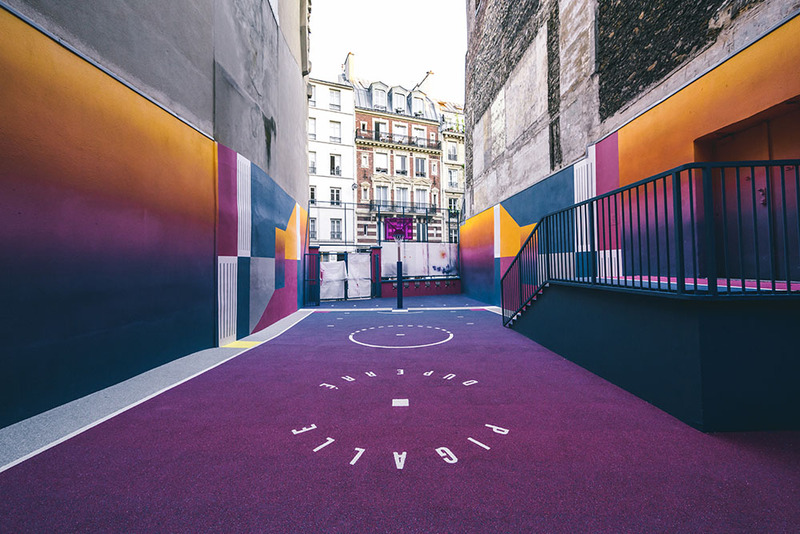 To revive these spaces, Peterson began to refurbish the courts with small improvements—filling in cracks or repainting the basic lines needed for a regulation game. 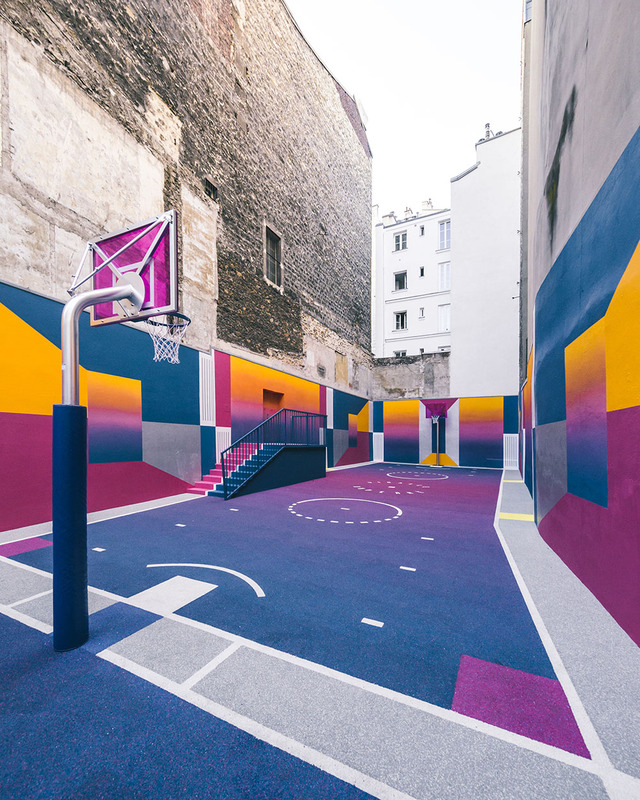 As Peterson began updating courts across Memphis, his interest widened to include ways he could not only improve his local courts, but generate excitement in surrounding neighborhoods for their public parks. 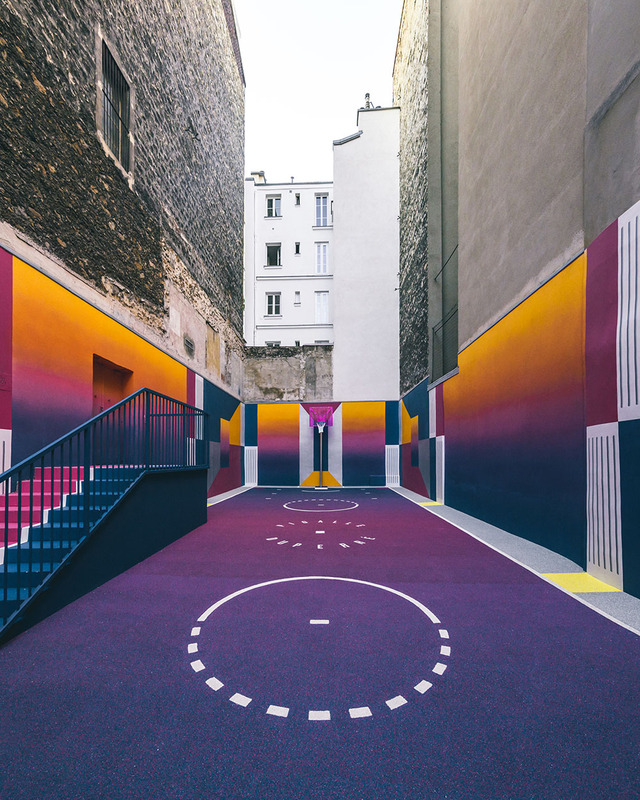 After learning local artist Anthony Lee was already designing an installation for a nearby court, he partnered with the artist to paint the park’s gray asphalt with bright blue and pink designs. 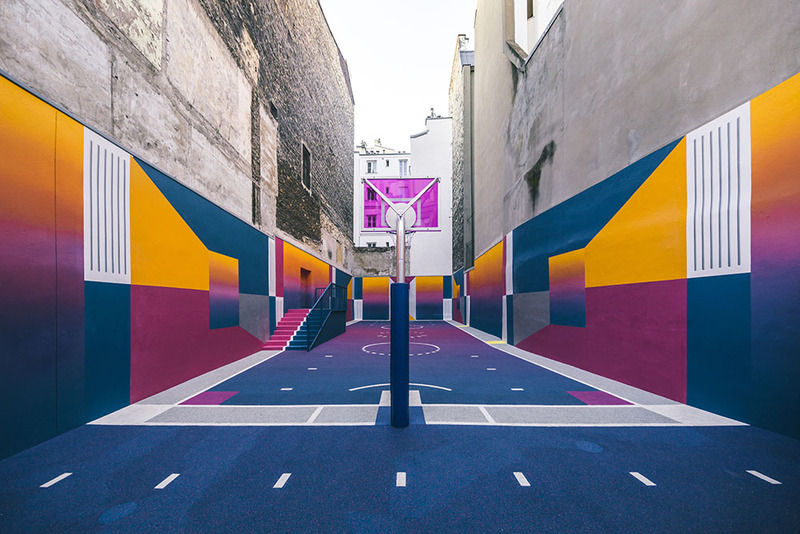 The collaboration marked the beginning of Project Backboard, while also inspiring Peterson work with local artists who were already engaged within a chosen community. 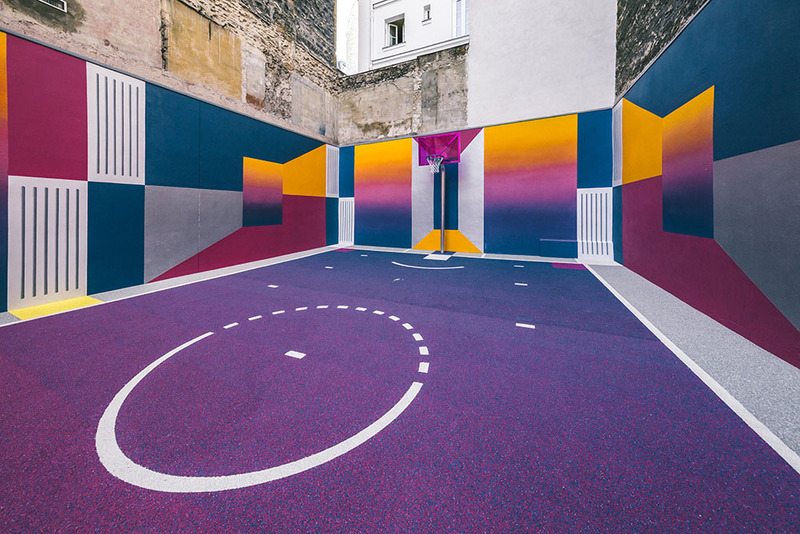 German photographer Robert Götzfried (previously) seeks out unique architecture for series that focus on one particular element of a culture or place. Previous projects have documented the pipe organs of 20 German Catholic churches, observed the creative construction of Cambodia’s roadside barber shops, and captured abandoned storefronts that exist across Australia. 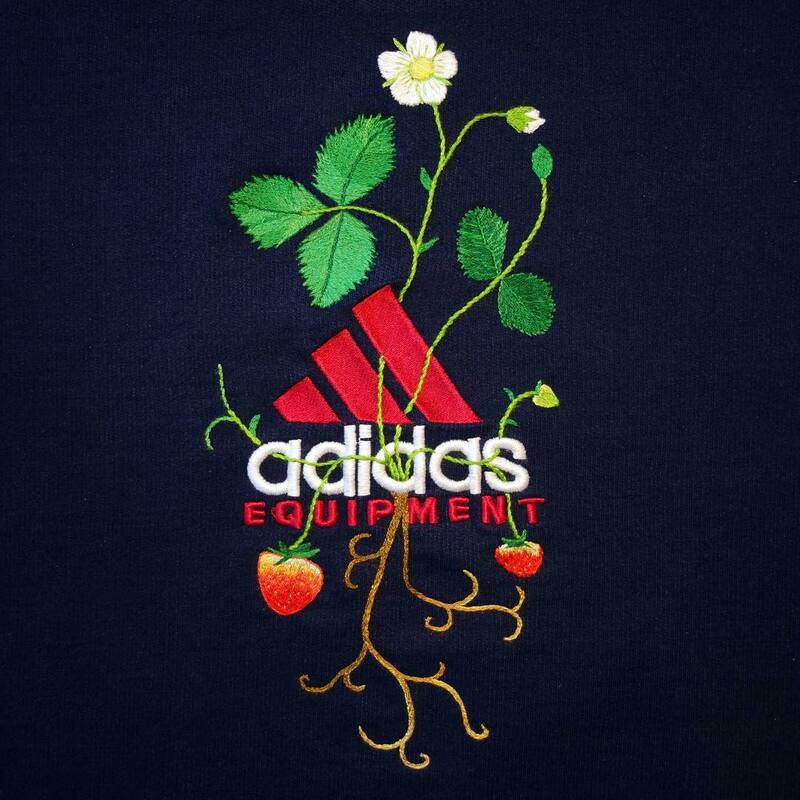 Iceland-based artist James Merry (previously) uses sportswear logos as the basis to his embroidered designs, planting thread-based mushrooms, strawberries, and various flowers on top of Nike swooshes and the ADIDAS logo’s three bars. Although you might not guess it from the simplicity of his sportswear alterations, Merry is a key collaborator with Björk, and has designed many of her costumes for tour and film. You can see more of his blossoming sports logos and elaborate costume designs on his website and Instagram.